I called Austin's Pumping Service for a bathtub that would not drain, fair pricing compared to the other two companies I called, they also worked after 5 with no extra charges. I would call them again. I was very pleased with this company, fair rates and great service. Thank you guys for pumping out our basement. My dad was very happy with you. We would use your services again but hope to not get flooded anytime soon. Friendly and understanding people, I recommend Austin's to all as they really saved the day. Our main sewer line was broken and flooded under our house. No other company we called would come out until the next morning. Thanks to all your crew for taking care of us. Our many thanks to the guys from Austin's. We were up to our ears in water and grease as our main trap was blocked. Thanks for taking care of us last Saturday. We didn't even know we had a septic tank, Austin's located our tank and installed a riser & lid so we would never need to dig for it again. Austin's driver also gave us a flier explaining our system and how to keep it functioning properly. Their service was outstanding. Driver was very friendly and helpful. He even explained the process of how our system works. 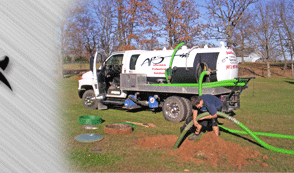 We were very please with his knowledge of septic systems. 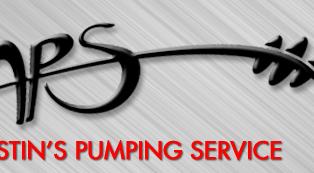 We will recommend Austin's Pumping Service to all of our neighbors and friends.